The Shard is the newest addition to the European Union's great pantheon of skyscrapers. Located in London on the south side of the Thames, it climbs almost as high as Los Angeles's U.S. Bank Tower. 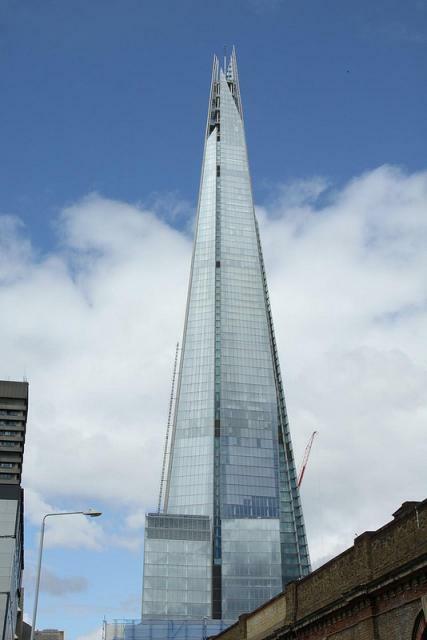 Italian architect Renzo Piano topped the Shard with multiple peaks to reference the UK's tradition of ship masts and church spires.